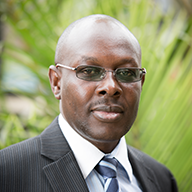 Evans is Director, Capital Markets Development at FSD Africa, where he leads capital markets development initiatives across sub-Saharan Africa. Prior to joining FSD Africa, he worked with the IFC/World Bank as Head, Efficient Securities Markets Institutional Development (ESMID) Africa. Before joining the World Bank Group, he was Head of Investments at AIG Global Investment Group where his responsibilities included managing a pan-African total return fund that was a pioneer investor in debt and equity markets in Africa. Evans’ work experience in the capital markets spans sub-Saharan Africa, Middle East & North Africa, North America, Europe and South Asia.